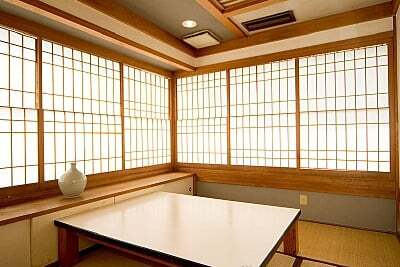 Guidance of the room｜Ikesu Kappo Heike provides Japanese cuisine，which mainly use fresh fish caught around Oita and seasonal ingredients. We devotes all our energy to showing guests hospitality. I provide the space that I put together in the needs of the visitor to have you fully have the counter of the image carved out of one piece of wood of the cherry tree which surrounded around the big fish preserve, a seasonal gorgeous live fish dish. 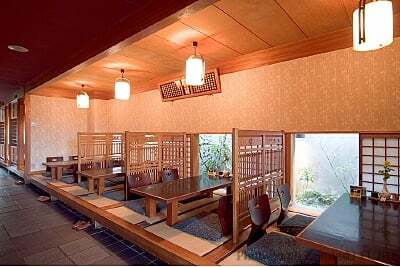 It is a kotatsu set in the floor-like Japanese-style room located in the depths in the first-floor shop. There is the done room of the meal while looking at the waterfall in the depths on the first floor. The first-floor detached room which is most suitable for small group. I take down a foot for a kotatsu set in the floor type and am relaxed. 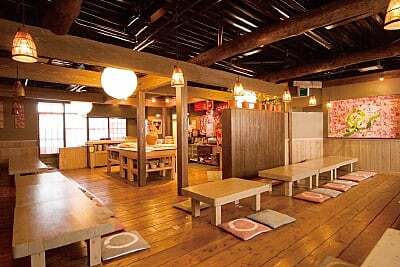 ※I make the reservation of the private room than the amount of money mentioned above.